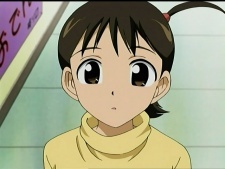 She is Tennouji's little sister, but is nothing like her brother. Her mentor is Tsukamoto Yakumo. Mio and Shuuji go to the same school, and Mio has a crush on him. Since their brothers are rivals, this brings about the name Romeo and Juliet Faction.